If you find yourself reading this you may well be trying to beef up on your knowledge on this infamous plant and perhaps how to control it and get rid of it. Thing is, this plant has a few tricks up its sleeve that makes it a really hardy blighter and really quite difficult to eradicate and indeed may be one of the most difficult of all plants to eradicate quickly, using conventional methods. A bit of background about this plant would be helpful in understanding why it's a really tough opponent and why indeed your efforts at killing it might in fact make matters worse, if you're not really really careful . Knotweed or to give it its proper latin name , Fallopia japonica (Reynoutria japonica or Polygonum cuspidatum are also titles associated with this plant) is known in the UK as Japanese knotweed, Sally rhubarb, donkey rhubarb, gypsy rhubarb, Hancock's curse . In Ireland and in areas familiar with Gaelic it's often referred to as Gluineach bhiorach, Gluineach sheapanach. The story doesn't end there though. Fallopia has relatives and indeed related hybrids . So you may for example have heard of Giant Knotweed which hails from Northern Japan and can grow up to 16 ft tall . As well there are a few notable hybrids of Fallopia such as Fallopia x Bohemica , sachalinensis and baldschuanica. 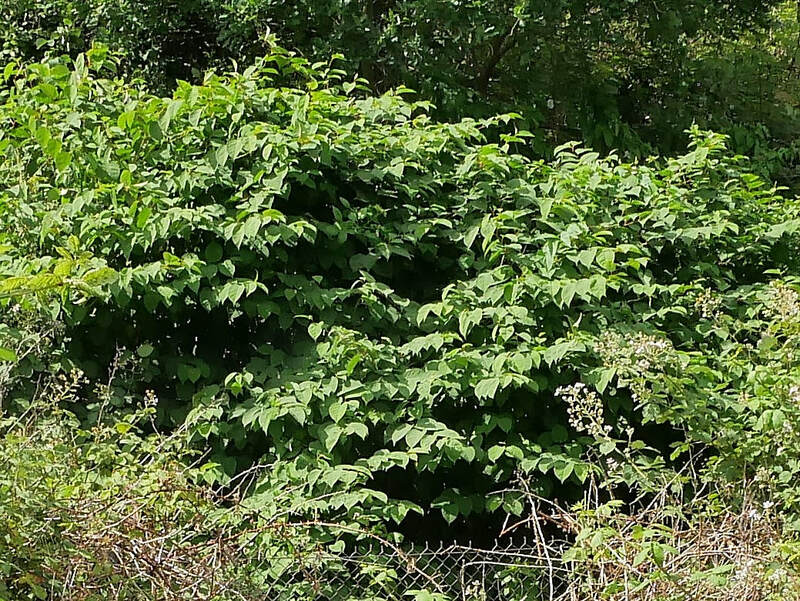 The good news is though that you don't have to be a plant identification expert or a botanist to learn some of the basics in how to control knotweed and perhaps more importantly how to ensure you don't spread it. Japanese knotweed was introduced to the UK as an ornamental plant and as a fodder plant. A specimen was sent to Kew Gardens around 1855 although the London Horticultural Society apparently obtained a specimen around 1825 (under the scientific name Houttuynia cordata). This date is supported by an article in the French journal Revue Horticole (1858) which reports that Japanese knotweed 'has been cultivated for twenty years in the garden of the Horticultural Society of London'. This specimen apparently came from China and was planted in an artificial swamp at Kew. 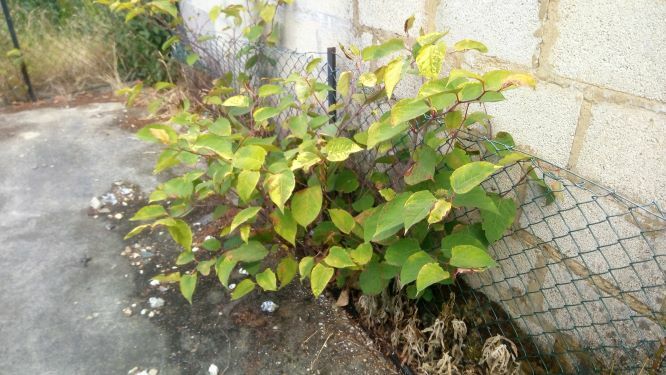 Japanese knotweed was soon discovered to survive on dry ground and was recommended as a plant for the back of the shrubbery or as an isolated specimen in a part of the lawn. By 1850, the plant had been given the scientific name Polygonum cuspidatum (Siebold and Zuccarini). The invasive nature of Japanese knotweed was soon observed and by 1905 the Journal of the Royal Horticultural Society no longer advised such planting unless it was 'most carefully kept in check'. Why is Knotweed so successful in the UK ? The simple answer is that Knotweed has no natural predators to knock it back and compete with it here in the UK. In Japan and other Asian countries it's assaulted above ground by aphids and has to compete with fast growing grasses and bamboo stands while below ground it is often attacked by native fungi. In the UK Knotweed is such a fast grower that it quickly overpowers native flora simply by its aggressive growth strategies. It quickly shades out slower plants and its root system allows it to overwinter successfully and re commence each season. Why Knotweed is like an Iceberg? 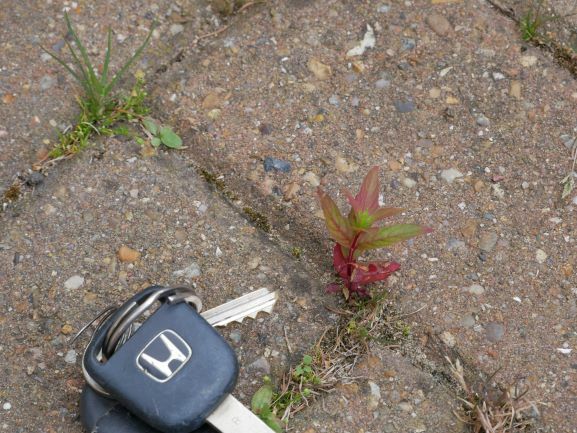 Can Knotweed damage my property? This is a complicated area in terms of trying to quantify the damage knotweed can do. Let's separate fact from fiction for a moment ?. Can knotweed crack my foundations, rip through reinforced beams and possibly cause my home or building to crash to the ground? No or at least in all the projects we have ever attended to we've never seen major structural damage caused by knotweed. 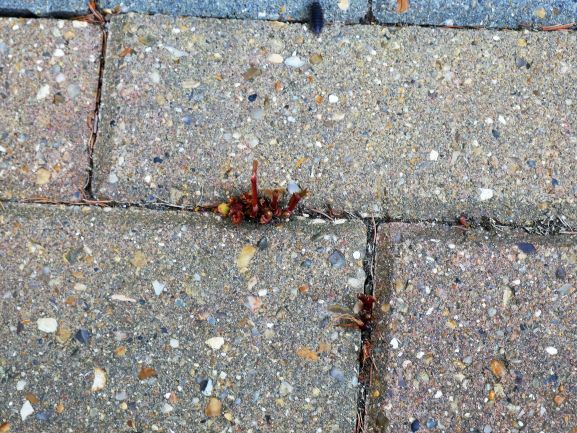 Can knotweed invade cracks in my foundations, penetrate openings in drains and ducts, block drains, spring up through cobbles, spread along my lawns and flower bed, cross from my grounds into neighbouring grounds with alarming speed and stealth and store up potential liabilities for a property owner? Yes indeed it can.